I am looking forward to trying out Adobe’s new Creative Suite 6 but have not yet got my hands on it. However one thing I am watching with interest is the work Adobe is doing to integrate PhoneGap developing into the suite, in particular in Dreamweaver. There was PhoneGap support in Dreamweaver CS 5.5, but it was curiously broken. It always makes a debug build for Android, for example, and it does not offer enough control of the build settings to be useful. Dreamweaver CS 5.5 is useful for designing a PhoneGap app, but you need to use the command line or Eclipse-based tools to finish it off. The big new is that Adobe has integrated Dreamweaver CS 6 with PhoneGap Build, a cloud service where you upload your source files and download the resulting build. There are details of the new integration here. You can build for iOS, Android, BlackBerry, webOS and Symbian. A nice touch is that you can use a QR code to download the app to a connected mobile device. There are a few puzzles though. 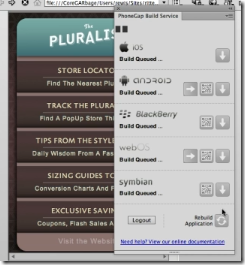 You cannot use PhoneGap Build and Dreamweaver without a PhoneGap Build service account. 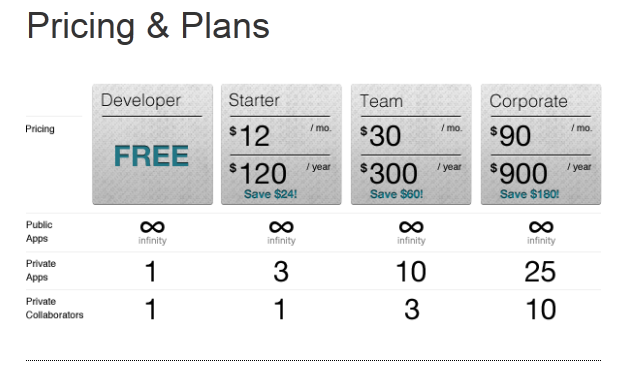 Accounts are free and easy to set up. 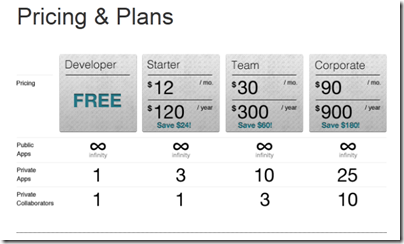 Do Creative Cloud subscribers get some use of the service included? I am finding out and will report. I would expect that Windows Phone 7 support will be added to Dreamweaver CS6. Adobe regrets to inform the Dreamweaver Community that the PhoneGap Build extension for Dreamweaver CS5.5 (released last week) is no longer available for download. For a number of reasons, we have had to pull the extension from public availability. 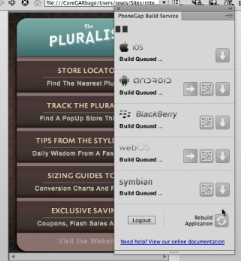 The functionality of the extension, which integrates PhoneGap Build with Dreamweaver, will be available in the upcoming version of Dreamweaver CS6. A shame, since PhoneGap support in Dreamweaver CS 5.5 does not work properly and fixing this for existing users would have been nice. We think there’s a need for a different type of code editor – we’re working on something and will have more to share soon.